The Golden Dox is considered a designer dog or a hybrid breed. The result of mating a Dachshund and Golden Retriever will produce this beautiful pup. When it comes to health concerns, it is important to look at both breeds that created the puppy, as health problems from either side can occur. With the Golden Dox, there are some major health concerns to watch out for and these include IVDD, bloat, epilepsy, diabetes, obesity, heart problems, cancer, Cushing’s Disease, and deafness. IVDD, also known as Intervertebral Disc Disease, can occur in the Golden Dox and is a condition that affects the discs in the back. Specifically, the discs can develop a problem, and when the matter inside the disc escapes, it gets into the spinal column. This condition is painful and can lead to paralysis. Bloat is a dangerous condition that can lead to fatality if it is not treated in time. This condition occurs when too much gas or air is trapped within the stomach. Veterinarians often describe the condition as swallowing too much air. When this happens, the stomach swells and can place pressure on other organs within the dog’s body. Epilepsy can occur in your Golden Dox and is often related to environmental factors, but it can be hereditary. Seizures can range from mild to violent. Diabetes can occur in dogs and is a condition that needs to be properly managed to prevent serious complications. Dogs who suffer from diabetes often have Type I and they are dependent on insulin therapy. Obesity occurs easily with the Golden Dox and should be avoided at all costs, as an overweight dog can have many health complications. If you believe that your dog is overweight or heading towards obesity, speak with your veterinarian. Cushing’s Disease is another condition that your Golden Dox may suffer from. This condition occurs due to a tumor located on the pituitary gland and can cause a variety of symptoms from high blood pressure to hair loss and nervous system complications. Lastly, your Golden Dox may develop cancer, have heart problems, or become deaf over time. To help weed out any of these conditions, you should work with a reputable breeder. 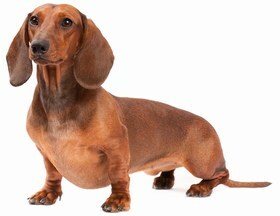 The Golden Dox’s life expectancy is 8 to 14 years. The Golden Dox is considered to be an extremely obedient dog, and many of the words used to describe the breed include multi-talented, loving, loyal, intelligent, friendly, and social. The Golden Dox makes a wonderful working dog and is known to partake in activities such as agility competitions, narcotics tracking, and even hunting. As a family pet, the Golden Dox is loyal to his or her family and will protect them. This breed does make a good watch dog and will alert when strangers are nearby. The Golden Dox is good with children and has a brace side to him or her. You can expect your puppy to be active and enjoy playing. 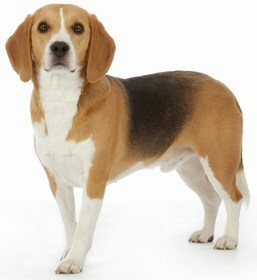 In fact, this breed is considered very active and definitely needs a yard to run or receive walks throughout the day. By nature, the Golden Dox is a friendly dog and is not aggressive towards people or other animals; however, you should socialize your puppy early on to ensure aggression does not develop. The Golden Dox is considered intelligent and is easy to train, especially since he or she has an eagerness to please his or her owner. Training is not going to be too tough, but you must remain consistent and use positive methods to train your pup. The Golden Dox does have some grooming needs. 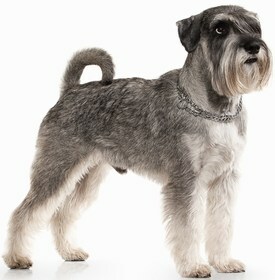 You’ll need to brush this breed on a daily basis to remove any loose hair that may come detached throughout the day. If you fail to brush your Golden Dox daily, you will find that he or she sheds a lot and mats or tangles occur frequently. You do not need to follow a bath schedule and one can be given as necessary. You should check your pup’s ears once a week for any signs of infection and wipe them out with a clean cotton ball. Your Golden Dox’s nails need to be trimmed monthly or more depending on how fast they grow. Nails that are too long are painful and they can break or split easily. Your Golden Dox requires two and a half to three cups of dog food per day, ideally given in two meals. You should make sure that your dog receives the proper amount of nutrients, especially since the Golden Dox is considered an active breed. When choosing food for your puppy, you should choose something appropriate to his or her age and avoid any foods that do not have wholesome products in them. Wet food is okay to give your Golden Dox on occasion, but keep in mind that the Golden Dox is prone to obesity, so you should really avoid wet food if possible. Looking for a Golden Dox? The average cost of a Golden Dox is anywhere between $500 and $1,100 to purchase. It’s unlikely that you’ll see this breed in a shelter, but if you do find one to adopt, you can expect to spend anywhere between $150 and $300. Make sure you budget for ongoing costs apart from the one-time outlay for the purchase of your puppy, For example, you will have an average annual vet bill of up to $600 for vaccines and checkups. In addition to the above, you should factor in grooming costs, food, supplies, and emergency checkups. Ranking takes into account a few basic factors including cost, skill level needed, high vs low maintenance and how critical regular training is to success. The Golden Dox is a wonderful dog to have in any home and he or she will act as a watchdog to protect your family. This breed is very social and likes attention, so make sure that you socialize him or her early on in life. This breed ranks a 2.